It is predicted that as of this year, 90% of enterprises will have hybrid cloud services in place. Taken at face value, this sounds as if the battle is over for enterprise IT and the migration to SaaS, PaaS or IaaS is all but accomplished. However, for many IT departments, it simply means they have only begun to fight by migrating at least one software service, such as email, to public infrastructure. The reality is that integration of cloud services will become the standard, sooner rather than later. Those enterprises that delay adoption, while the trend accelerates, will find themselves mired in an inefficient paradigm of managing in-house compute resources while competitors reap the advantages of flexible and extendible services residing in the cloud. Cloud migration, however, is not simply a matter of throwing a switch. Like any strategic move, there are tradeoffs. For instance, organizations must weigh the benefits of being able to rapidly respond to their market, with the detriment of giving up some control of application customization. One universal problem that has plagued IT departments before “cloud” entered the organization’s lexicon is still applicable: what to do with legacy applications. These are built upon assumptions about the environment in which they operate regarding software and hardware platforms, network infrastructure, security and monitoring. This situation leaves IT with an important decision: Should such applications be deployed first to a private cloud or go straight to a public cloud deployment? Service Demand – A private cloud is appropriate if demand is predictable and steady. If there is high variance, a hybrid or 100 percent public cloud approach makes sense. Network Requirements – Organizations requiring access only via specific networks or vendors cannot take advantage of public cloud services effectively. Application Dependencies – Enterprise applications with tight dependencies on specific devices or internal applications have the most difficulty in migrating to public cloud services. IT departments overwhelmed by the scope of changes to analyze and act upon might consider taking smaller steps than wholesale migration of apps and services to any cloud - private or public. Hybridizing a single application in order to retain control over core features, while taking advantage of the flexibility of resources public cloud vendors offer, is one way to do this. One example where this works is to retain a proprietary database within the organization infrastructure while "virtualizing” the interface to these data on servers located geographically closer to customers. Gradually, remote data caches can be added to improve responsiveness before converting to a fully distributed database. The bottom line is a decrease in overhead and complexity with an increase in business productivity. Agile Training Essentials certifications are a very good way to gauge an individual’s knowledge of what Agile really is and how Agile Principles are implemented across different scenarios. It is very important for an individual to participate in a good training session ahead of any Agile certification e.g. PMI-ACP™ by PMI, Scrum Master Certification (SMC™)by SCRUMstudy, The Agile Project Management (AgilePM®) certification by APMG etc. 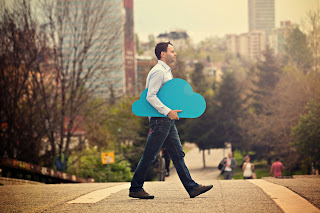 Useful post, I have leaned more about cloud computing. Continue sharing more like this.